Not too long ago, I outlined a couple of steps in this article What Can I Do To Protect My PC Without Anti-Virus Software? What Can I Do To Protect My PC Without Anti-Virus Software? For plenty of users, getting and using anti-virus software can be a hassle for lots of different reasons. 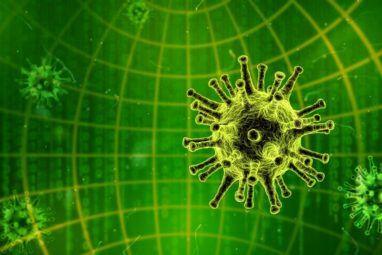 Not only can they be expensive, but they can be slow, difficult to control, and a major... Read More on how to protect yourself from a virus should you decide not to run any antivirus software on your system. However, let’s say that you did follow all those steps like a good person and you still ended up getting infected, as you probably noticed once an antivirus tool you never installed suddenly tells you your computer is about to self-destruct. Well, that’s just great. So how do you remove such a virus from your computer? There’s hope and solutions on offer. So, read on. Microsoft offers a tool that can remove certain kinds of malicious software. That tool used to be the Windows Malicious Software Removal Tool, but recently Microsoft is offering the Microsoft Safety Scanner. This scanner is supposed to check your computer for any viruses, spyware, and other bad stuff and remove it. There are plenty of other similar online scanners, but some may lead you to actually downloading more malware on your system rather than removing it. By using Microsoft’s tool, you can be sure that it genuinely wants to remove any malware from your system. 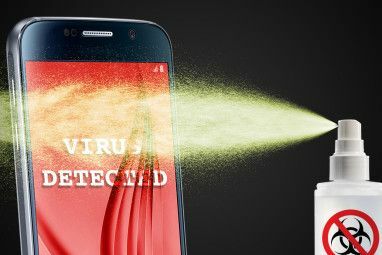 Although you probably should’ve had it installed before to make use of its real-time protection, it might be helpful to install an antivirus tool now to help remove the malware that is currently wreaking havoc on your system. An antivirus tool can also scan for any other files that have dormant viruses in them, waiting for you to activate them. There are plenty of free ones that are very effective, such as AVG, Microsoft Security Essentials Free Security Suite for Windows: Microsoft Security Essentials Free Security Suite for Windows: Microsoft Security Essentials Read More , and Avast Avast! 6.0 Free Antivirus For Windows Released, Adds AutoSandbox [News] Avast! 6.0 Free Antivirus For Windows Released, Adds AutoSandbox [News] Read More , just to name a few. 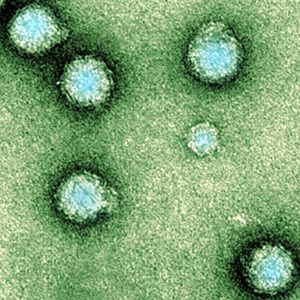 These tools will hopefully be able to remove that pesky virus before it does too much harm. 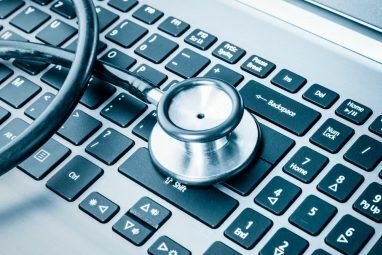 While it’s not recommended to use the internet when you know you’re infected with a virus (as the virus could potentially start sending out any information it’s finding on your system), you can use a clean system to go online and search for the virus that you may have (based on the symptoms your computer is experiencing) and how you can possibly remove it. With some luck, you might find a solution that has been tested and proven to work. Last but not least, if all else fails, reinstall Windows or move to any other operating system such as Linux. If the virus is really that pesky, it’s best to just help Windows destroy itself so that you can rebuild on the ashes. Before you begin with your reinstallation, don’t forget to backup your data. Please, scan all the files that you’re backing up so that you don’t accidentally save the virus you’re trying to get rid of and then reinfect yourself later. It’s a long and hard process and is therefore the ultimate last resort, but at least this method works every time. Don’t Buy A New Computer! I’ve come across enough people who think that if their computer gets infected with a virus, the world is going to end and they’ll need to dump the infected computer and buy a brand new one. This is absolutely not true, as the hardware is still perfectly in tact. Reinstalling Windows is like resetting the system, and gets rid of the virus in the process. There’s no need to go out and spend $400+ for a decent new computer just because you got infected with a virus. Getting rid of a virus is sometimes easy and sometimes very tricky. Your level of success will vary depending on the bug you managed to catch. However, there is always one way or another to get rid of a virus. We just hope that it doesn’t have to be very destructive to your own data. Just remember, when it comes to viruses and protection, it’s better to be safe than sorry. What’s the worst virus you’ve managed to catch? What other tips would you add to this article? Let us know in the comments! I just got a new computer last week that is infected with a virus that is pretending to be Windows Firewall. It 'disconnects' my Internet connection AND will not allow me to download AVG, Malwarebytes, or anything else that I have tried. The 'link' on the firewall pop-up says to 'click here to remove now' but takes me to a screen that asks for my CC info. I JUST bought this computer and hardly had time to even browse the Internet before this crap happened. I hardly know anything about computers and can not really afford the cheapest repair tech ($90.00). Can someone help me figure out what kind of virus this is and how to fix it??? Should I re-install? Do I need to back up anything considering that it is brand new and has nothing on it. HELP PLEASE. Since the computer is brand new, do you have a recovery CD or does it say anything about recovery when you boot? You only need to back up your personal data. If you did not save anything on that computer yet (photos, documents, bookmarks etc. ), then you can simply re-install, which is probably easier than to hunt down a virus. Is your operating system Windows 7? What brand is the computer? That may help us tell you how to enter the recovery process. I am currently getting ready to fix a computer. It has NO antivirus and it is infected by multiple viruses. ( I mean super multiple) I have a great antivirus for it, however, I do not want it to infect my flash drive and then any other computer that may come in contact with it. What do you suggest I do before I begin? I did mention the use of Linux in the article. Is there a different OS that you're referring to? Use Linux. Or at least use a free antivirus. Microsoft could've fixed the virus thing with some simple measures. Instead, it take advantage of Windows' old flaws and user naivety and makes loads of $$$ out of them. I don't know that Microsoft will make a dime off its users being infected, as Microsoft Security Essentials is free. I do think that Microsoft could do a little more to prevent viruses, but my theory is that they're not doing it because it would impede the ease of use (like not having to give admin rights to just about everything) of the system. The more locked down it is, the harder it gets for an average joe. Linux is known as being safe while stiil being usable by an average Joe. Mac as well. So I don't think things are so simple, there's a lot of money in this game. And what if the virus gets into the bios and you can't boot at all -- can't get into safe mode, can't use rescue cd/ubuntu live cd or even can't recover your image? What do you do? In the unlikely event that you do have a BIOS virus (more over, that you even know about it) removing it is usually as easy as flashing the BIOS. Your CMOS chip in your computer will have usually have a reset button, a jumper area, or at very least a battery. You can flash it with either of these components. Here is a video on how to do so. If it wipes your boot sector, you will need to use a tool to generate a new boot loader which is also very easy. These tools will simply find the partitions on your hard drive, and re-map them into your bootloader if they are a 'primary' partition (i.e bootable). Thanks for these tips, Jeff! Create an image your computer right after you get it setup (using Norton Ghost or another imaging software). Set it aside in case you get infected, then simply reload your system from the image. You can save an image after you install new software, so the only thing you'll ever lose is about an hour of your time. Beats the daylights out of reloading everything. How long does it take to make each image? Reinstalling from scratch is great advice, assuming you have all the relevant discs and remember to back up before you begin. It should only take an evening to get everything back in working order. And not only is the virus gone your computer can feel like new. Exactly! Reinstalling every few years (or earlier) can help extend the computer's lifetime. The best way I've found to clean an infected drive is to remove the drive and connect it to a known clean system using a usb/sata/ide adapter so that it becomes just another drive. This avoids the problem of trying to clean the drive that you boot from - which often only appears to work, but actually is still infected. Once I have the drive connected to a clean system, I use a combination of MalwareBytes, Kaspersky, and Trend-Micro HouseCall to scan & clean the drive. This technique takes much less time and is much more successful than trying to scan/clean the drive that your system boots from. That works as well. Some people might not want to move around their hard disks, but for those who don't mind it's another good method. Thanks Ernie! If things are very bad and virus blocks the proper work of your anti-virus soft you have an excellent option. Use special bootable disk (or flash drive) like Kaspersky Rescue Disk so the virus is inactive. Or (my preferable option) boot ubuntu linux from th? flash drive and use excellent clam anti-virus. Yes, that's something that I should've thought about including. Very nice, Vitaly! So far, I've never found a virus-infected or malware infected computer I couldn't fix with Malwarebytes. Although I run Avast in the background, it hasn't ever done anything except issue false positives. Often I have to reboot into safe made, run a complete scan and in most cases, that resolves it. At least at that point, you can safely continue to research it. Best free program I've ever run across. I agree here. Having remove hundreds of virus over the last or two, I find that MSE along with Malwarebytes is a great combination. The first step I teach however is to disable system restore. A lot of times those buggers will come right back on reboot if you don't. You should very rarely have to reinstall Windows, if you take it to a Pro and they want to do that, find a new "Pro". What's the point of Microsoft Safety Scanner? I'd rather not install ANOTHER piece of antivirus software on my computer. Mircosoft Security Essentials does everything I need, scanning and real-time protection--no other baggage needed. MSS is a good solution if your antivirus somehow can't remove it. Also, MSS is programmed to expire after just a few days, so it's not a full-fledged app like MSE. I know that this discussion is usually about "do-it-yourself" - but there's always the option to take it to a computer store (repair tech) and pay him to remove the virus. This is especially a good idea if you have no idea what you're doing and are especially confused as to what's the virus and what's just a "regular" problem. Unfortunately, the conventional method for most 'computer repair' specialists, is to re-install the OS. Why pay ~$50 or more to have someone else reinstall? At least that's how it is around here. Or they'll install some sponsored program that is supposed to fix it, but ends up adding lots of spyware and bloat on the system.